Please join us for the following occasion !!! 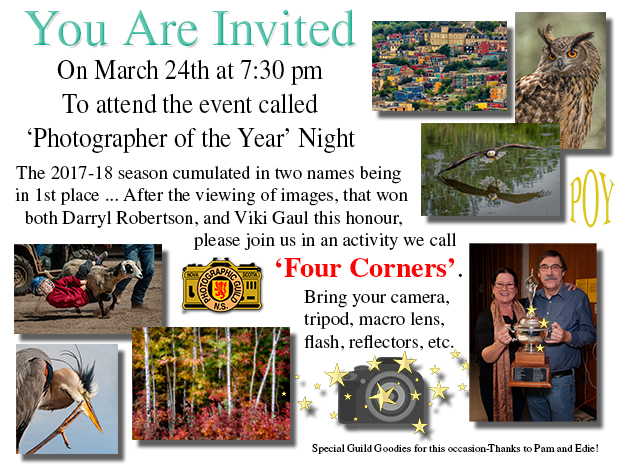 Bring your gear…we will make some images and have some fun! 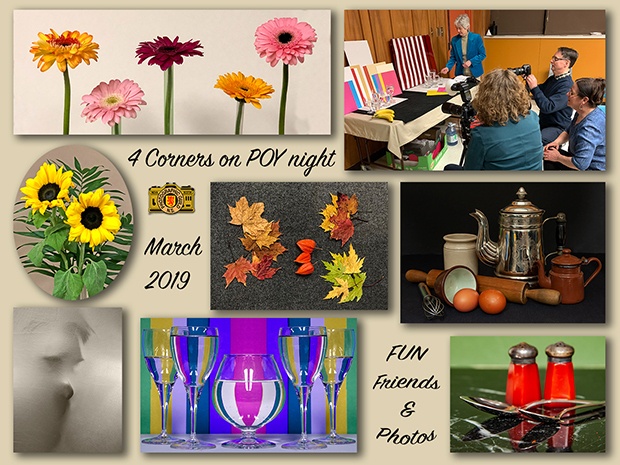 This entry was posted in 2019, Meetings on March 18, 2019 by Darryl Robertson. Hello and Happy St Paddy’s day 2019 ! The Guild Schedule reminds us that we need to get our images ready for upload this week (deadline is Sunday the 24th) and the competition is on the 31st. Good luck choosing images for each of these ‘once a year’ categories. You never know….you might be the winner of a special award for your efforts ! 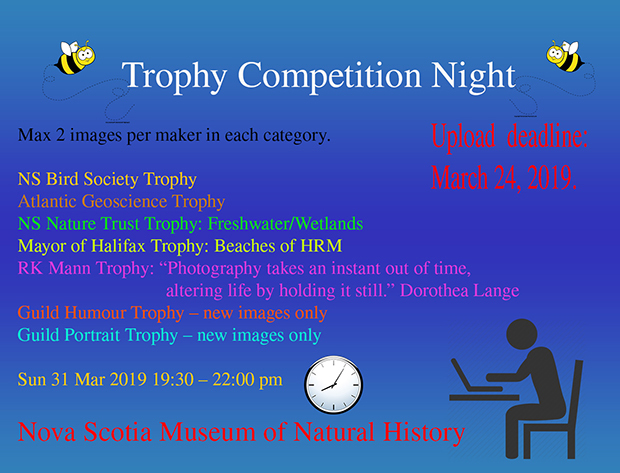 This entry was posted in 2019, Competitons, Trophy on March 17, 2019 by Darryl Robertson.